Sat. 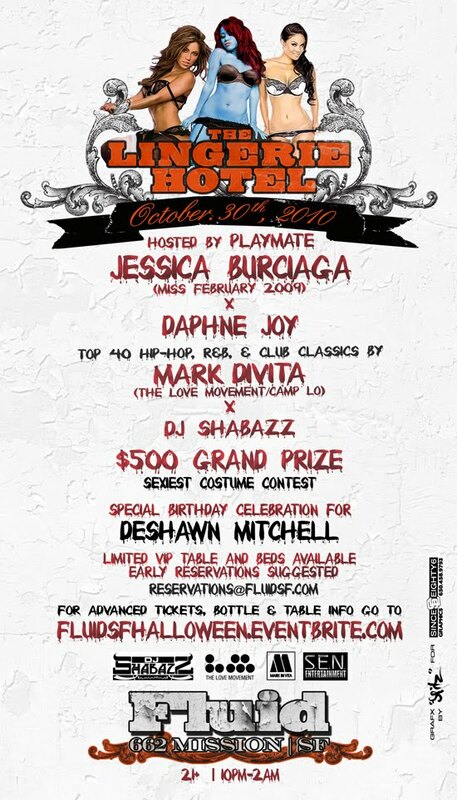 November 30th at FLUID(662 MISSION) in San Francisco CA. 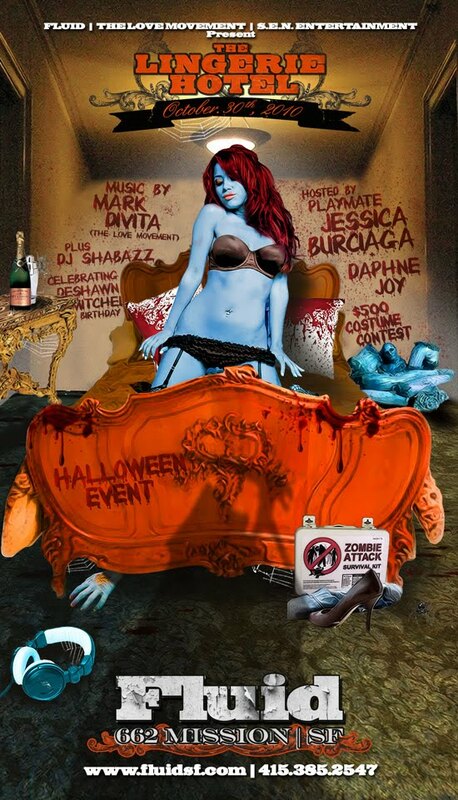 Pre Halloween Party.. Gonna Be insane.. Send names for Guestlist to ..